Friday was one of those days which was so grey and rainy that you would never have guessed it was still August. My day was cheered up immensely by the delivery of a surprise parcel….yeah. 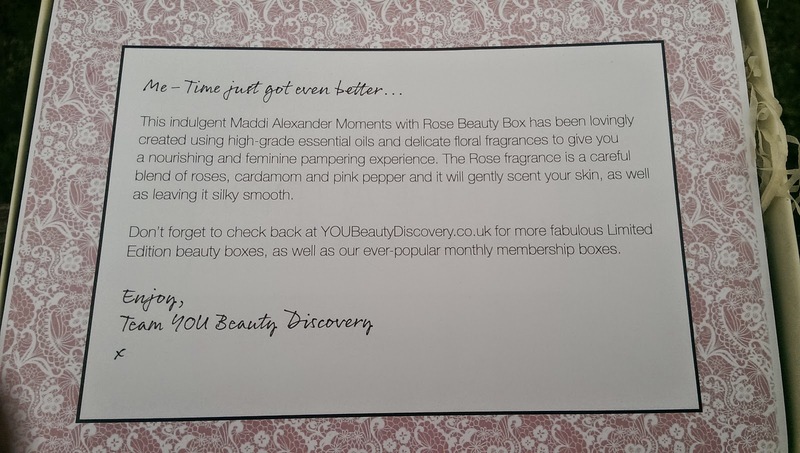 The guys at YOU Magazine, YOUBeautyDiscovery.co.uk and Latest in Beauty have teamed up with talented Maddi Alexander to put together a stunning Limited Edition Moments with Rose Beauty Box (£16.95 + P&P). This was exactly what my Friday needed. I could not wait until the evening to get sampling. As soon as it was 7pm and the kids were officially the responsibility of Mr Fifi Friendly, I steamed upstairs to start running my bath. 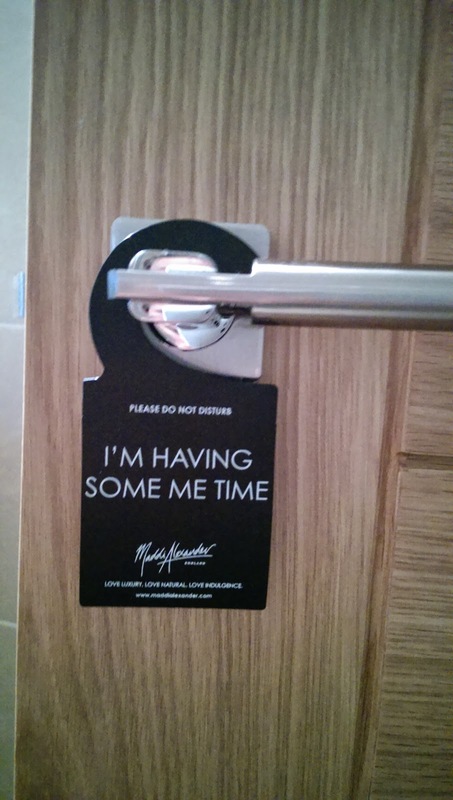 The lovely people at Maddi Alexander had even included a door hanger to remind the rest of the family not to interrupt me. This worked eventually after I managed to stop my daughter stealing this from my “bath haven” door as she wanted it on her bedroom door. I also got a subtle hint that my son thought I was running this bath for him when he ran into the room and shouted “I’m ready”. He was dispatched out of the room kindly but quickly. Even before the bath was half full I was in awe of the smell, it was sublime. The rose mixed with pink pepper and cardamom left an aroma that had transported me to a super relaxing and exotic place. I have used other bath salts in the past, which were fine, but they often did not dissolve totally in the water and would leave a course grit at the bottom of the bath. I suspect some of these salts might have been better used on the path outside the house in winter! 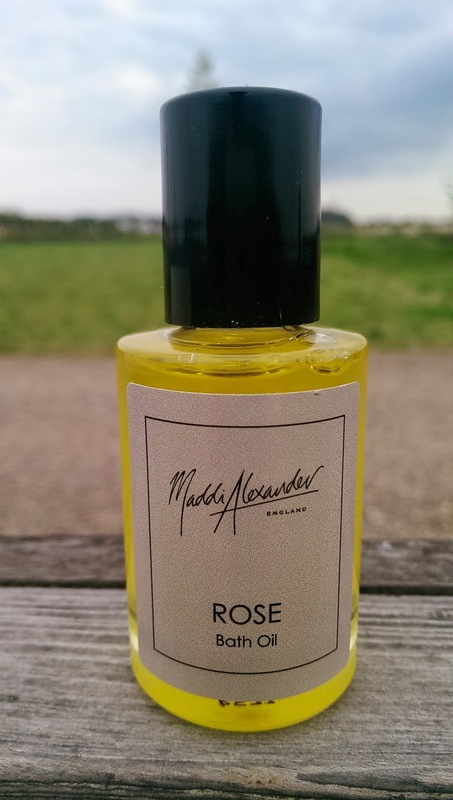 The Maddi Alexander Rose Soaking Salts melted perfectly into the water, leaving it covered with rose petals on top and the water with wonderful slightly silky texture. The sea salt and Epsom salt mixture is great for the purification of the skin and the wonderful infusion of rose and other ingredients including Shea butter left my skin smelling divine and soft to touch. It is not often that I find an excuse to have a 90 min bath and I reluctantly got out the bath after several top ups of hot water. The picture above does not do the product any justice. This is one of my favourite products that I have tried this year! One of my best friend’s who loved the Aromatherapy Associates Bath Hut at Fletcher’s Cottage in Archerfield, would love these Rose Soaking Salts. There is something about the ritual, texture and smell of it all that was amazing. At the weekend I briefly caught up with my neighbour and told her about my bath to end all baths. She is a Primary 1 teacher who has just returned back to work after the summer holidays and was a little jaded! So I knew the Rose Soaking Salts would be a great treat and I lent her the packet. I got a sheepish text to ask if I wanted any of them back and she returned the packet…. empty. Given that she had tried to tell me the day before that she wasn’t keen on floral smelling things, she clearly liked this a load. She went on to describe the experience as bliss. That is my good neighbourly act of kindness completed. 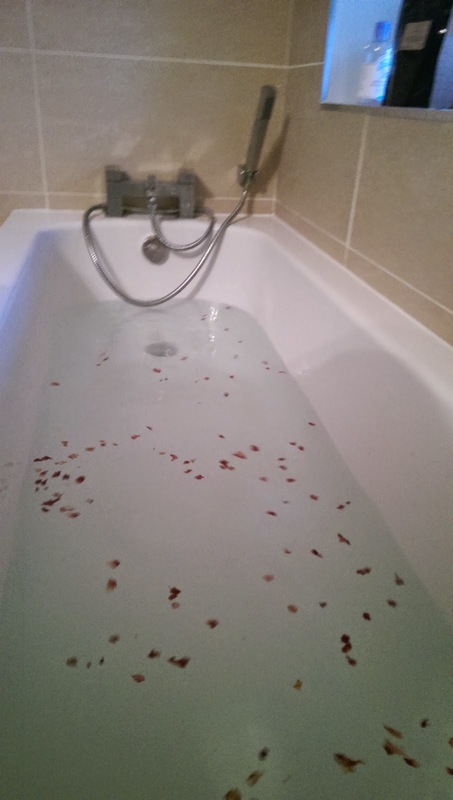 The Rose Bath Oil is just as lush, but without the floating rose petals in the bath. It smells just as glorious and the gentle oils have a wonderfully nourishing effect on the skin. The cardamon and peppercorn give an edge to the rose aroma leaving a beautifully intoxicating and superbly luxurious bath. I don’t think I can go back to a bog standard non Moments with Rose bath again. This can only be a great thing. We recently got a puppy in the Fifi Friendly household and getting up an hour earlier than usual has become a nasty habit. It is fair to say this has left us more tired than normal. 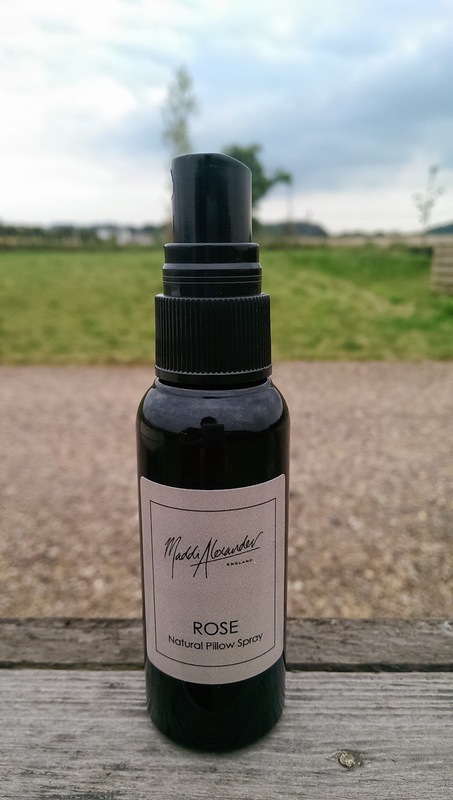 The Rose Natural Pillow Spray has been a constant part of my nighttime routine since I got it. This not only helps me unwind but a couple of spritzes on my pillow at night and I have found the stresses from the day just drift away. Wonderfully effective. Super Indulgent. Well deserved….. naturally. Finally I used the Rose Beauty Balm on my cuticles, elbows and heels. In fact I also used it on my hands. With the arrival of the new puppy I have found myself washing my hands practically every 5 minutes and the skin on my hands is wrecked. 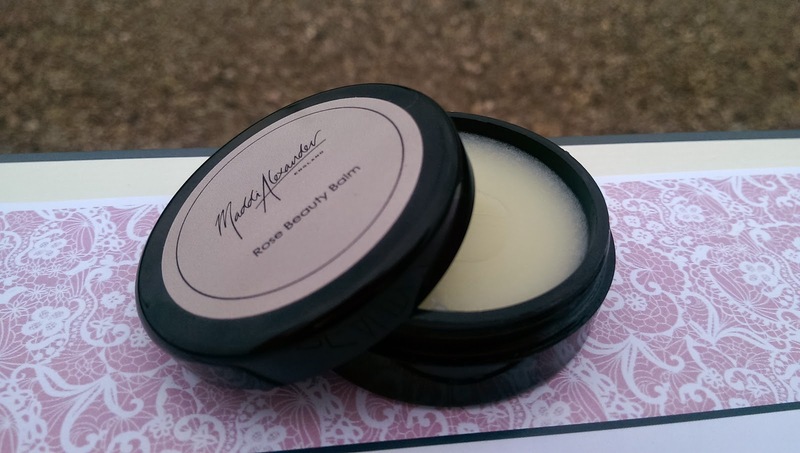 This balm is deeply nourishing and I have found it really effective if i apply it to my hands at night and then put on hand mitts to keep the moisture locked in. I LOVE this brand. They are 100% 5* Fifi Friendly. I would highly recommend going to www.maddialexander.com and checking them out for yourself. 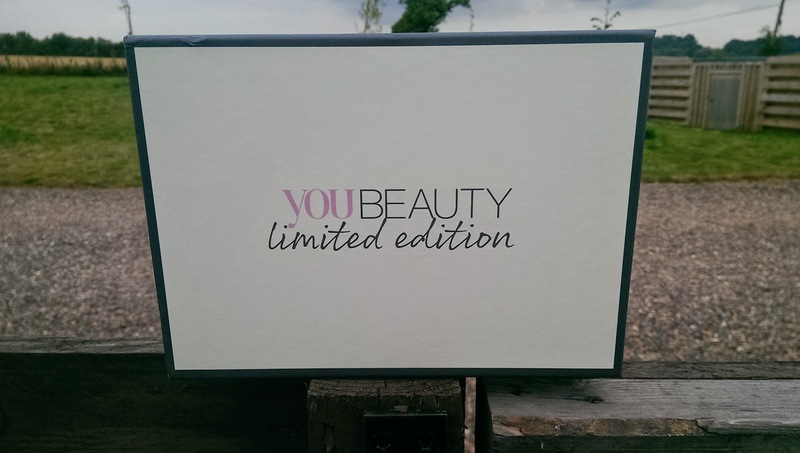 The www.youbeautydiscovery.co.uk box is fantastic value at £16.95 and you can purchase it even if you are not a monthly member. Perfect gift for anyone whether it be your best friend or yourself. 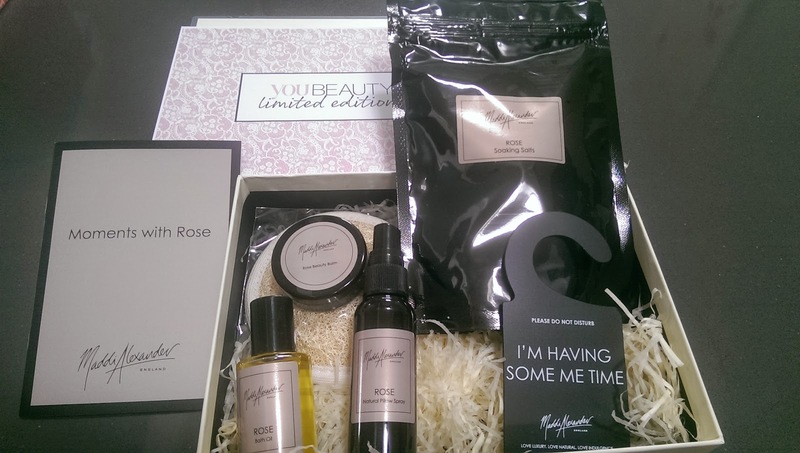 I have just had the most wonderful and relaxing at home spa bath time experience with my Maddi Alexander Beauty Box complete with novel and my own me time 'Do Not Disturb Sign' an absolute must! The delicious aroma of rose in the bath salts and bath oil is sublime made my skin feel like velvet. The body buffer prepared me for the beautiful body balm for all those extra dry areas and is in my handbag now to use everyday. The Rose Pillow Spray completes the whole experience of indulgence leaving you to drift off to sleep in a pillow of heavenly scent. Sheer bliss! I have to say this box was 100% perfect. Each product was great in it's own right but wonderful when all together. Glad to hear you enjoyed them all as much as I did.